Think this is announcement related, or just getting rid of dead wood? [and from another] http://www.popularmechanics.com/space/news/a18752/putin-just-dissol... TASS, a Russian-government-owned news outlet, is reporting that Russian President Vladmir Putin has dissolved Roscosmos. The space agency, founded shortly after the fall of the Soviet Union, has run into a number of rocket troubles of late. Putin claims the problems include widescale mismanagement of appropriated funds and internal corruption. Roscosmos will be officially dissolved on New Year's 2016 and eventually replaced with an all-new federal agency with more government oversight. The decree instructs cabinet-level officials to begin the liquidation process of the agency for some continuity of operation. The new organization will be run as a corporation rather than an agency. Putin hopes to make the new organization more competitive with commercial space players like SpaceX, rather than the traditional mix of cooperation and rivalry with NASA. They also report that it's unlikely to bring about any radical changes, including Russia's ISS cooperation. How it will affect any upcoming space missions remains to be seen, although the first part of the ExoMars mission fleet has been constructed and delivered, awaiting a March 2016 launch. We have noted that the Council of Worlds slapped the Russian space program repeatedly during attempts to launch satellites that would spy on drowning migrants trying to get to safety on Russian territory. This happened in 2012, in 2013, and in 2014 with the Council very obviously displeased as UFO’s were instrumental in the failures, a matter of record. We have often stated that massive government bureaucracies do not operate in a top-down fashion, but rather operate by an established modus operandi, an understanding among the entrenched and long established staff and management. NASA and the CIA operate thus, as does Roscosmos and the KGB. Putin is aware that the Earth is heading into its End Times, the time of the passage. He is well aware of ZetaTalk prediction but even without this, is abreast of what it about to happen via his own sources, his own alien advisor. 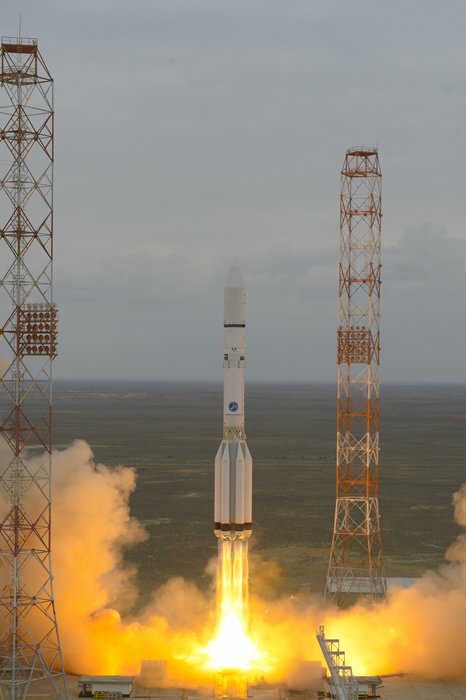 If a satellite is to be launched successfully, necessary for Putin’s programs, he wants to ensure that it is not brought down because some bureaucrats within Roscosmos continue to push their own agendas. He is cleaning house, essentially firing them all and building a new agency composed of people he trusts to follow his lead. Putin is moving in the right direction. ...Signals from the spacecraft, received at ESA’s control centre in Darmstadt, Germany via the Malindi ground tracking station in Africa at 21:29 GMT (22:29 CET), confirmed that the launch was fully successful and the spacecraft is in good health. ...“We’re not only looking forward to the world-class science data that this mission will return, but it is also significant in paving the way for the second ExoMars mission, which will move our expertise from in-orbit observations to surface and subsurface exploration of Mars,” says Alvaro Giménez, ESA’s Director of Science.